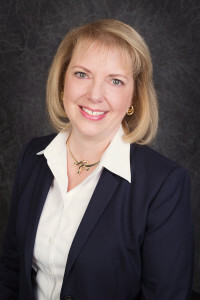 D r. Jody Hall is the vice president of the automotive market for the Steel Market Development Institute, where she is responsible for leadership of the Automotive Applications Council, a group of member steel producers, in automotive research, education and technology transfer activities. She also coordinates the steel input to the Auto/Steel Partnership (which has car company members including FCA, Ford and General Motors), and other steel-related consortia. Prior to joining SMDI, Dr. Hall spent more than 30 years with General Motors, with responsibilities ranging from research and development of new materials and manufacturing processes to solving current production problems. Most recently, she served as technical integration engineer for steel applications where she was responsible for new steel applications and specifications for stamped steel body components. Dr. Hall has received numerous professional awards including: the University Of Michigan College Of Engineering Alumni Merit Award; the Auto/Steel Partnership Instrumental Change Award; the GM Die Engineering Services Award for Leadership;the USCAR Special Recognition Award for Outstanding Contributions and the GM Chairman’s Honors Award. She holds a Doctorate of Philosophy and Master of Science in materials science and engineering as well as a Bachelor of Science in materials & metallurgical engineering from the University of Michigan.